We’ve got an amazing Saturday ‘Lunchtime legends’ event planned for Brewood Music Festival 2018. Festivalgoers will have the choice of five amazing venues and performers, covering a wide range of styles and genres. Keep checking back to www.brewoodmusicfestival.com and facebook for details on start-times and venue information. 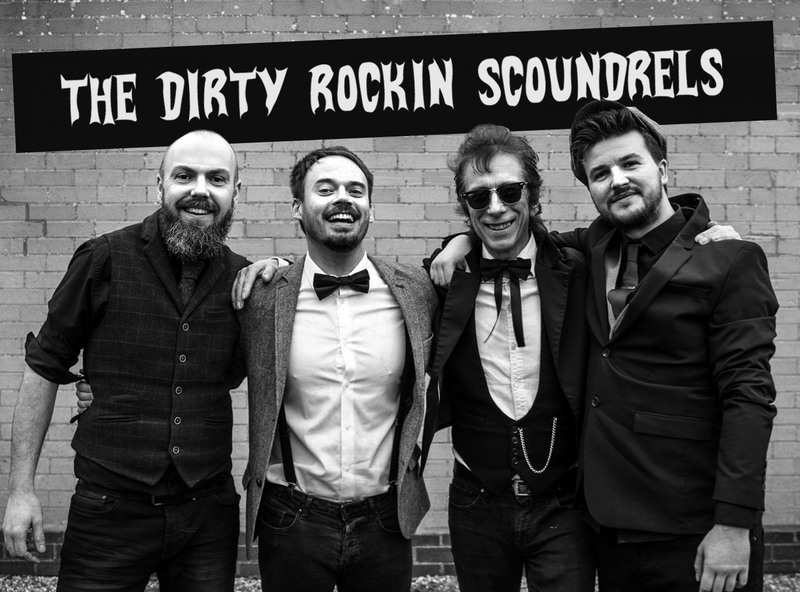 Over at The Bridge Inn The Dirty Rockin Scoundrels, a Midlands-based band, will be bringing you the best Rock ‘n’ Roll music of the 50’s and 60’s. The band is made up of lead singer Paul Wilcox, Ant Foote, Al Rees and Jack Regan. Lead singer Paul is a rock ‘n’ roller by night and Music Educator by day. Paul has been performing for almost 20 year and has supported the likes of Placebo and Feeder, and even toured the country solo with top artists such as Lulu and Scott Matthews. Lead guitarist Ant has over 25 years gigging experience, touring with James Blunt, Them is Me and Boomtown Rats, performing at top venues, such as the Barclaycard Arena in Birmingham. On bass, Al has been rocking out since the late 1970’s and was featured in the very first edition of NME. Starting out as the co-founder of the now legendary band “Split Beaver”, he has since toured with the likes of Dr Feelgood, Lindisfarne and Shakin’ Stevens, and played anywhere and everywhere… including the prestigious Marquee Club. Drummer Jack adopts a solid feel and ‘less is more’ approach, enabling him to play with artists from X-Factor to The Voice, as well as countless producers, artists, live bands and music schools… not forgetting The Dirty Rockin Scoundrels! This duo of Abby Brant and Phil Tree is a must see for the Festival Saturday lunchtime. Both have recently toured with Jasper Carrot’s Stand Up And Rock. 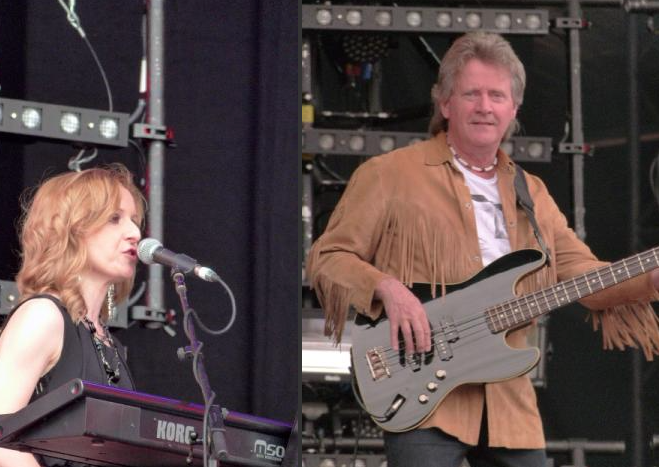 Abby has also played with Trevor Burton, The Move, Bev Bevan and Steve Winwood. Phil has been a past member of The Roy Wood Band, The Bev Bevan Band and The Move. Both Abby and Phil have performed at Brewood Music Festival before. Abby performed with the Trevor Burton Band in 2014 whilst Phil was a member of The Move in 2012. 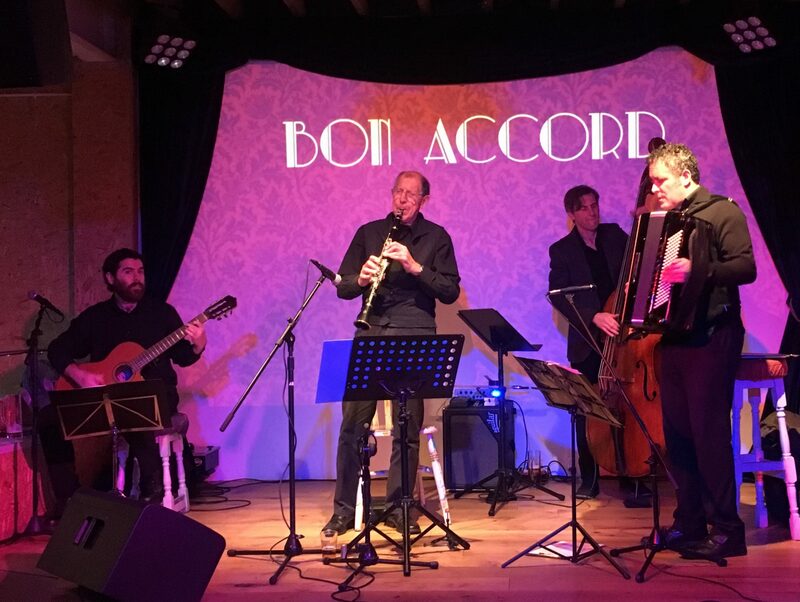 What better way to spend Bastille Day than being immersed in the French, Latin and Gypsy Jazz of Bon Accord? Featuring Harry Christian on Clarinet, Richard Adey on Accordian, Mike Bethel on Guitar and Simon Smith on Bass, Bon Accord were the very first booking for Brewood Music Festival 2018. Harry has played clarinet and saxophones in various mainstream and traditional jazz bands for many years and is a long-term admirer of the music of Django Reinhardt. 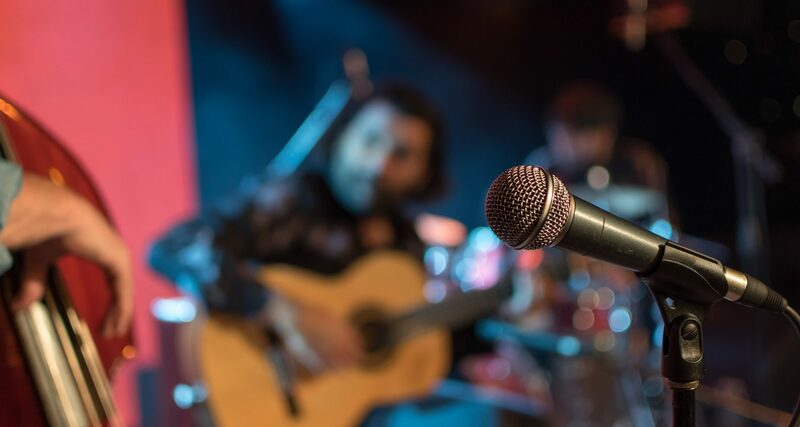 Richard is a professional performer, gracing many of the great venues in the world including the London Barbican Centre, the Kennedy Center Washington DC and the Brooklyn Academy of Music New York. He also spent two years with the Royal Shakespeare Company (Stratford-Upon-Avon and on tour) and has appeared at the Edinburgh Fringe. Mike is a guitarist and teacher who, having worked in a solo classical idiom, has found himself performing in various different groups and genres. He has also recorded three well-received solo albums. Simon is a bass player with much experience in a wide variety of music genres. He has spent time working in the USA as a session musician for many artists including the Tony Award winner, Idina Menzel. WMCB are a group of about 50 musicians who rehearse weekly in Wolverhampton. They were formed from a group of players who were previously with the Wolverhampton Community Concert Band that used to rehearse at Highfields School in Wolverhampton under the baton of David Gray. The band has entered the National Concert Band Festival twice, achieving a Bronze the first time under the baton of Stuart Mallen and a Silver the second time with Craig Sproston at the helm. 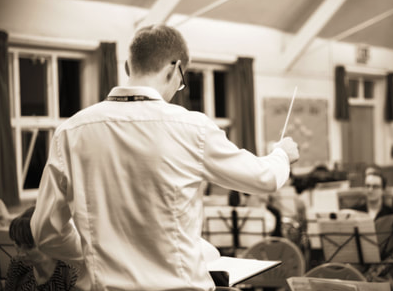 Current Musical Director, Dougie Graham, comes with a wealth of experience with the Royal Marines Band, and for the last 10 years, as the Bandmaster for both the Band in Scotland and more recently as the Bandmaster of the Royal Marines Band based in Portsmouth. The Legion again plays host to the well established, much loved and now traditional Brewood Music Festival Saturday afternoon Folk Session. Exact details will be announced at a later date but as usual there will be a full and varied line-up offering the very best in local folk music. Come along, grab a beer and prepare to be fully entertained leading up to the main event later of Saturday evening. Want to keep your powder dry before the main event? No problem! The Swan Hotel will be offering a quiet zone for those customers looking for a temporary break from the festival beat.